With Mother’s Day just around the corner, why not treat her to a day of pampering, shopping and delicious food at Glasgow Fort? 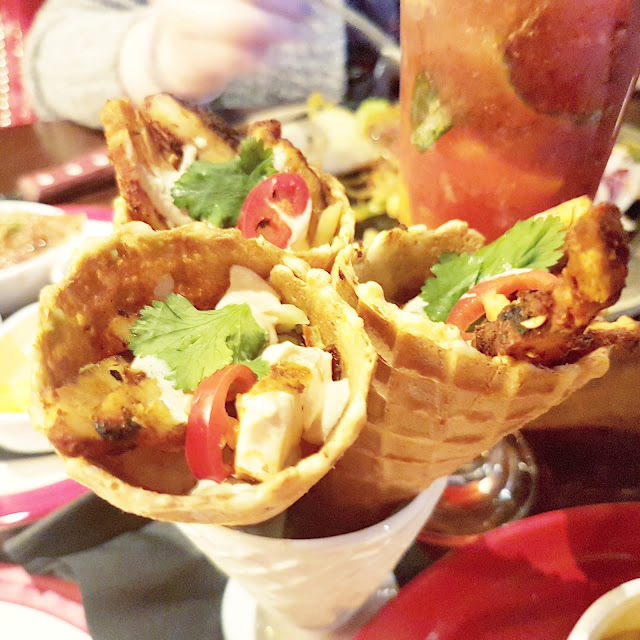 (Junction 10, M8, G34 9DL) Penny, my mum and I got up to so much that it was impossible to cram it all into one post, so today I thought I’d share with you the amazing banquet of food and wonderful customer service we experienced at TGI Fridays. As part of our early Mother’s Day celebrations, we were very kindly invited to sample a range of scrumptious dishes and mocktails. 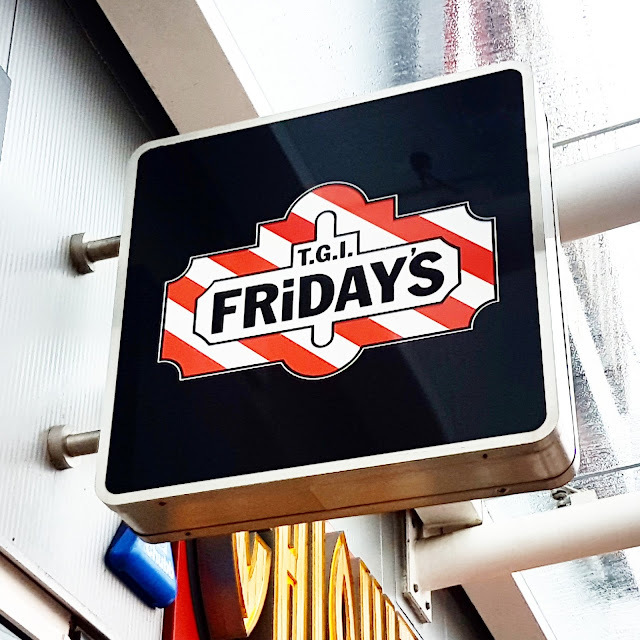 We had such a lovely day, but my mum and I completely agree that visiting TGI Friday’s was definitely the highlight of our visit. TGI Friday’s is about celebrating everything that makes Friday nights so special; no work, no commitments and no deadlines. 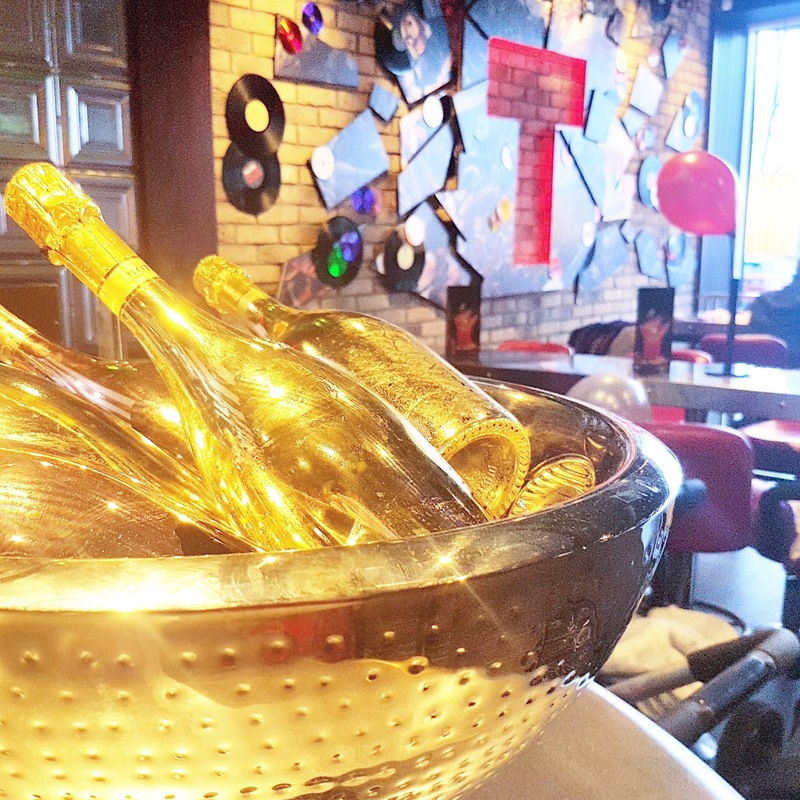 It’s about letting your hair down and enjoying fabulous food, delectable drinks and spending time with your family and friends in a high-energy atmosphere bursting with fun. 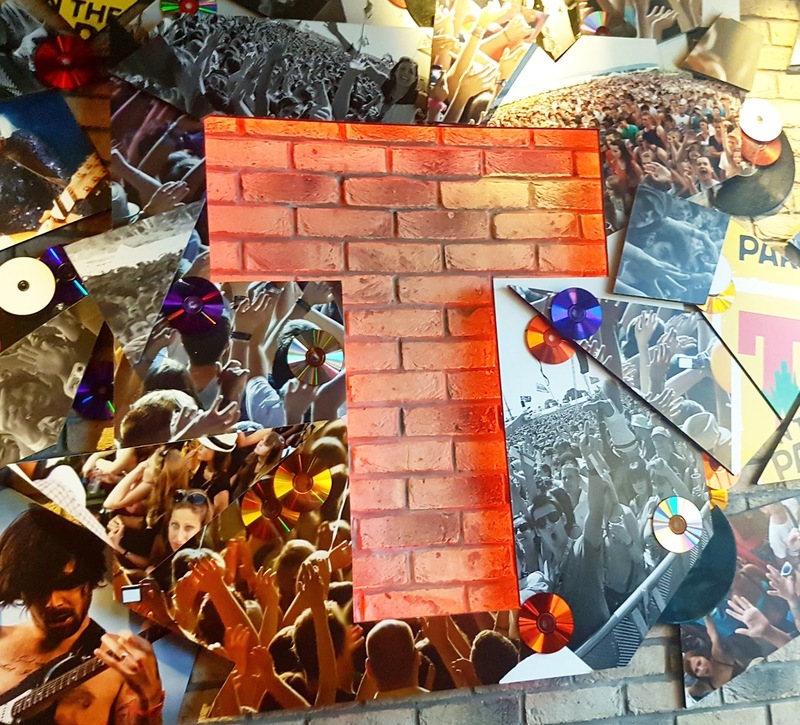 The mismatched collection of music vinyls, sporting memorabilia and even circus paraphernalia hanging from the walls (and ceiling) are sure to keep the conversation going and the staff’s warmth, enthusiasm and balloon-making skills are sure to keep the kids entertained. 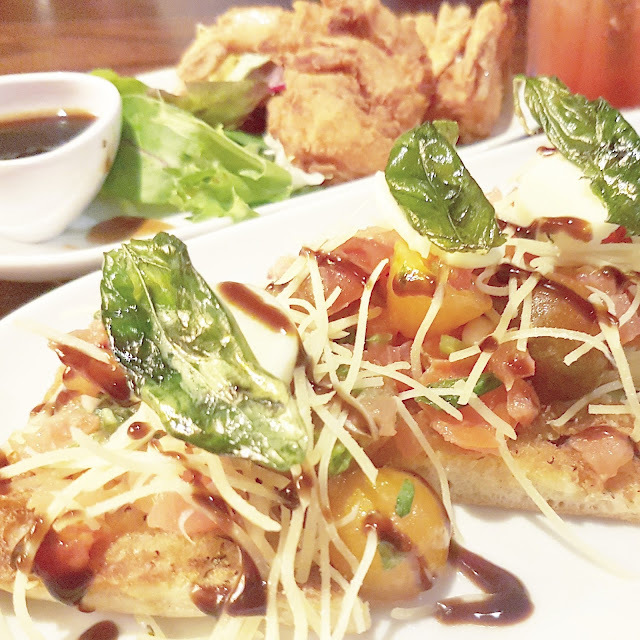 The food was seriously spectacular, my only disappointment was that I couldn’t eat more of it. For appetisers, I ordered the Smoked Tomato Bruschetta £5.99 (heritage tomatoes with garlic, crisp basil and mozzarella on toasted ciabatta) and my mum ordered the battered shrimp which has now been transformed into Jack Daniel’s Popcorn Shrimp £6.49. We were both blown away by the generous portion sizes and how fresh and flavoursome the ingredients tasted. We also sampled their new Chick-Cones £6.49 which consisted of sweet waffle cones filled with fresh Pico de Gallo, spicy guacamole, Monterey Jack cheese, cajun chicken and topped with cheese. After much deliberation, I decided to go for the French Dip Hamburger £12.49 for my entree and my mum chose the Sizzling Blackened Chicken Fajitas £13.99. My handcrafted burger was flame-grilled to order and towered with caramelised onions, melted Swiss cheese and garlic mayo. It also came with coleslaw and a huge pile of crisp fries. 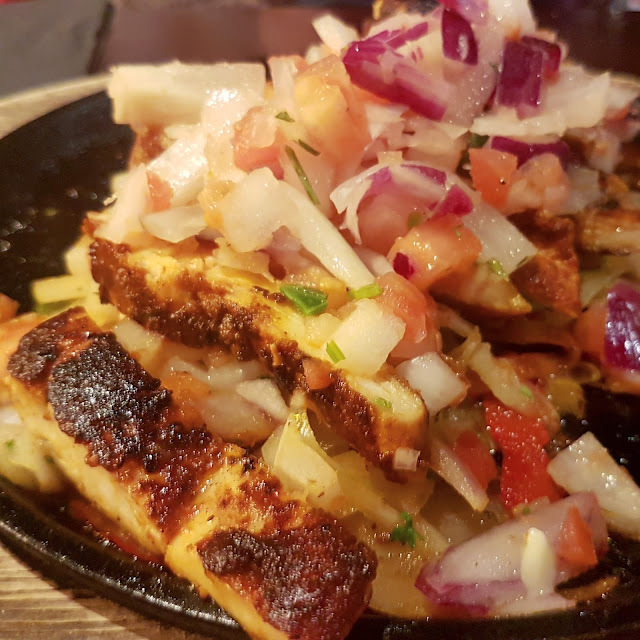 My mum’s fajitas were served on a hot skillet with a pile of soft warm tortillas and a selection of dips on the side. We finished off our mouth-watering meal with all three of us sharing a Very Berry Sundae £5.49. Penny devoured the top layer of whipped cream and my mum and I enjoyed the bottom layers of meringue, Ameretti biscuit, real dairy ice cream and sweet strawberry puree. I usually select a boring old orange juice with my meal but the selection of non-alcoholic drinks was insane! We started with Strawberry Lemonade Slushies from their limited-edition Comic Relief menu and moved on two mocktails from their new menu: Fresh as a Cucumber £3.80 (cucumber, elderflower, cranberry and lemon juice topped up with soda and garnished with crisp cucumber) and Basil Berry Smash £3.80 (strawberries, basil, orange and cranberry juice topped with soda). We also tried one of their new smoothies: the Sober Loader £3.30 which contained passion fruit juice, orange sherbet, cranberry and elderflower. We had a wonderful time at TGI Friday’s and even though the food was out of this world it was really the customer service that made our day. I actually think that our server was one of the most hospitable and charming I’ve ever come across! 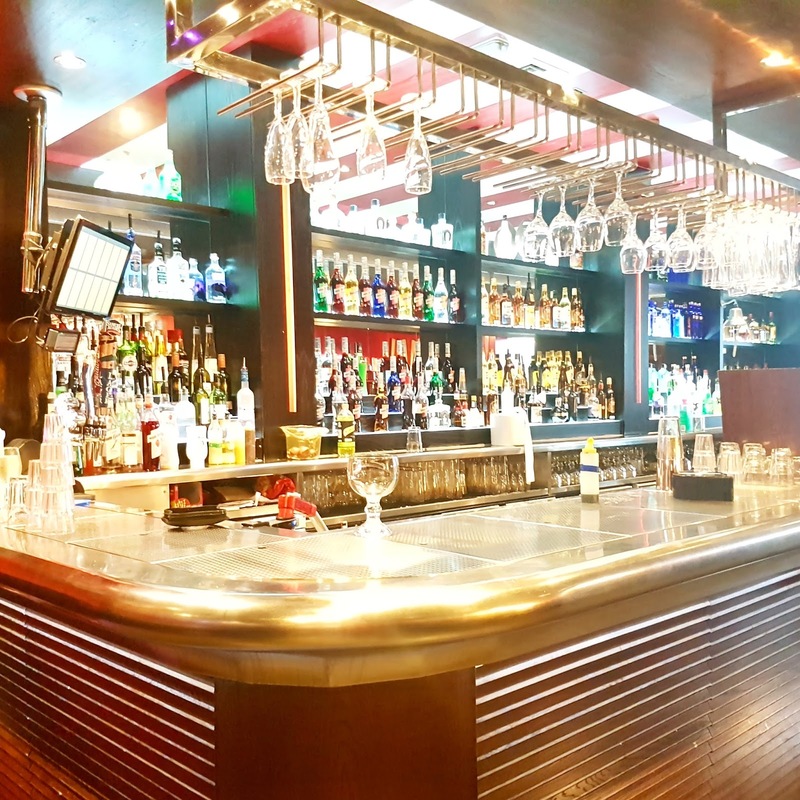 Our drinks were never empty, our food was piping hot and out on time, the restaurant itself was immaculate and we left with full bellies and smiles on our faces – what else could you possibly ask for? 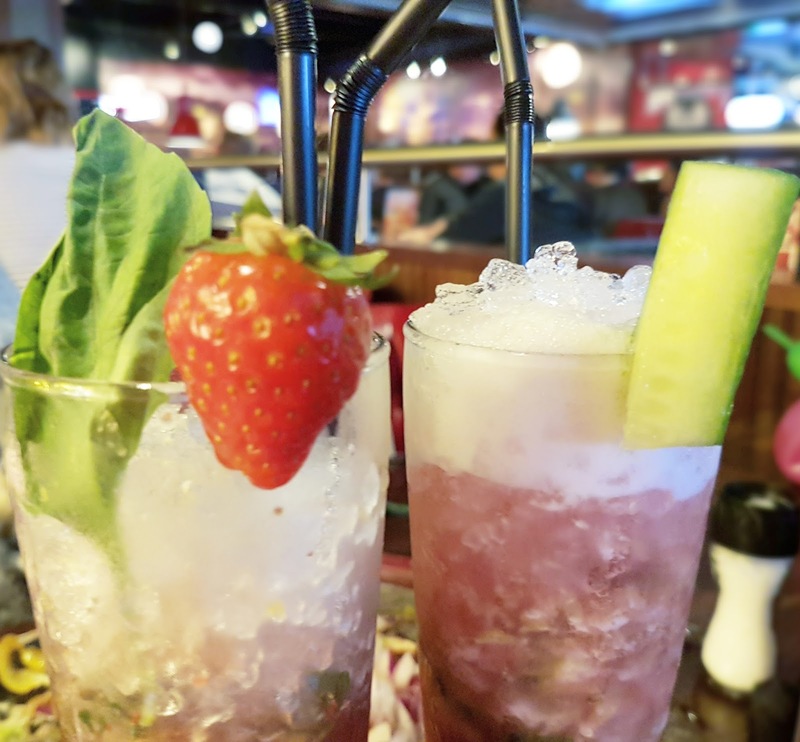 If you’re looking for somewhere to treat your mum on the 26th March I highly recommend TGI Friday at Glasgow Fort, plus there’s plenty of entertainment at the shopping complex too, just check out my post here to see what’s on. Also, if you download the TGI Friday App you can treat your mum to a complimentary mocktail on Mother’s Day – I highly recommend the Sober Loader! General opening times are 9am-10pm Monday to Friday, 9am-9pm Saturday and 10am-7pm Sunday. For directions and a full list of stores, restaurants and facilities please visit glasgowfort.com. "US Beauty | ColourPop & Juvia’s Place Haul with myMallBox AD"
"Glasgow Fort | Mother’s Day Celebrations – Pampering, Dining & Shopping (Part 1)"